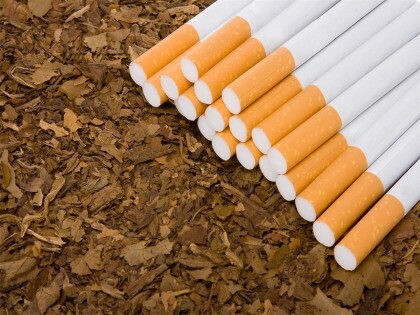 Governments around the world should increase taxes on cigarettes and other tobacco products to save lives and generate funds for stronger health services, the World Health Organization (WHO) said on Tuesday. In a report entitled “The Global Tobacco Epidemic 2015”, the United Nations health agency said that too few governments make full use of tobacco taxes to dissuade people from smoking or help them to cut down and quit. It recommends that at least 75 percent of the price of a pack of cigarettes should be tax. “Raising taxes on tobacco products is one of the most effective — and cost-effective — ways to reduce consumption of products that kill, while also generating substantial revenue,” WHO Director-General Margaret Chan said in the report. She urged all governments to look at the evidence and “adopt one of the best win-win policy options available for health”. The WHO calculates that one person dies from tobacco-related disease every six seconds or so, equivalent to about 6 million people a year. The number is forecast to rise to more than 8 million people a year by 2030 unless strong measures are taken to control the what it calls a “tobacco epidemic”. There are a billion smokers worldwide, but many countries have extremely low tobacco tax rates and some have no special tobacco taxes at all, the WHO said. Tobacco is one of the four main risk factors behind non-communicable diseases — mostly cancers, cardiovascular and lung diseases and diabetes. In 2012 these diseases killed 16 million people under the age of 70, with more than 80 percent of those deaths in poor or middle-income countries. Douglas Bettcher, a WHO expert on the prevention of non-communicable diseases, said that higher tobacco taxes have been proven to reduce consumption and help people to quit smoking. “Evidence from countries such as China and France shows higher tobacco product prices linked to increased taxes lead to declines in smoking prevalence and tobacco-related harm,” he said. Yet Only 33 countries, with 10% of the world’s population, have introduced taxes on tobacco products so that more than 75% of the retail price is tax. Tobacco tax revenues are on average 269 times higher than spending on tobacco control, based on available data. A tax increase that increases tobacco prices by 10% decreases tobacco consumption by about 4% in high-income countries and about 5% in low- and middle-income countries. Tobacco kills around 6 million people each year. More than 5 million of those deaths are the result of direct tobacco use while more than 600 000 are the result of non-smokers being exposed to second-hand smoke. Nearly 80% of the world’s 1 billion smokers live in low- and middle-income countries.